Achilles tendinopathy is a common condition, particularly in those who run. It is a chronic, activity-limiting syndrome, defined by the presence of pain and thickening in the Achilles tendon (Figure 11). The lifetime prevalence of Achilles tendinopathy is 52% in former runners, and the annual incidence is 7%–9% in current runners.2 This syndrome encompasses several overlapping pathologies and is clinically distinct from rupture or partial rupture. Onset is typically insidious and chronic in nature, although occasionally a patient may present with acute tendinopathy. A classification system for disorders of the Achilles tendon is presented in Table 1,3,4 based on physical examination, imaging and histopathology. However, there is no widely accepted schema. There has been a largely successful movement to abandon use of the term “tendinitis” for patients with symptoms that last longer than three months, in recognition of the need to address degenerative structural changes within the tendon (i.e., tendinosis) rather than inflammation, which is rarely or only minimally present in most instances.5 It is often not possible to distinguish tendinosis from paratendonitis (i.e., inflammation around the tendon) and these frequently coexist, which is another argument in favour of the more general term, “tendinopathy.” Nonetheless, an attempt to diagnose the source of pain (tendon v. paratendon) should be made. The diagnosis can be made on the basis of history and physical examination (Appendix 1, available at www.cmaj.ca/lookup/suppl/doi:10.1503/cmaj.101680/-/DC1). Colour Doppler ultrasonography or magnetic resonance imaging can be helpful in identifying the type of Achilles tendinopathy. In this review, we discuss the evidence base for conservative management of chronic midportion Achilles tendinopathy. For a discussion of surgical techniques, please see other recent reviews (e.g., Maffulli and coauthors12). A plethora of conservative treatments have been suggested to provide relief from, or cures for, Achilles tendinopathy, including nonsteroidal anti-inflammatory drugs (NSAIDs), ultrasound and laser therapy, nutritional supplements, friction massage and dry needling. However, most are not supported by randomized controlled trials. Our objective was to review the evidence found in randomized controlled trials for conservative treatment of chronic (i.e., greater than three months’ duration) midportion Achilles tendinopathy (Box 113–23). We performed an English-language literature review of randomized controlled trials of treatment for chronic Achilles tendinopathy. Appendix 2 (available at www.cmaj.ca/lookup/suppl/doi:10.1503/cmaj.101680/-/DC1) includes a complete description of our literature review. To be included, a study had to be a single- or double-blind randomized controlled trial of patients with chronic midportion Achilles tendinopathy. We included exercise trials that were single- as opposed to double-blind in design because exercise is a key component of management for chronic Achilles tendinopathy. We searched Ovid MEDLINE (1950–August 2010) using a strategy combining terms related to Achilles tendinopathy with a search string for randomized controlled trials. In addition, we searched The Cochrane Library for systematic reviews of agents used for treating Achilles tendinopathy. The abstracts of identified studies were screened for relevance, relevant papers were reviewed independently by A.S. and E.H. and reference lists were further hand searched. The methodologic quality of included studies was assessed independently by A.S. and E.H. using the Oxford scale, also known as the Jadad scale.13 We extracted data from the studies, calculated the Cohen’s effect sizes (d) and tabulated the results. In the reviewed studies, a total of 777 patients were enrolled. The average age of the patients was 45.6 years, ranging from 18 to late 70s. The ratio of male to female patients was not reported for all trials; the ratio in reported trials was 0.51 male to female. The duration of symptoms ranged from three months to several years. The most common outcome measures were pain at rest or with activity. Is exercise an effective treatment? Eccentric exercise was found to be superior to a standard exercise program in a multicentre randomized trial by Mafi and colleagues; 82% of the patients who trained with eccentric exercise were satisfied and had returned to their previous activity level after 12 weeks (95% CI 66%–98%), compared with 36% of patients who trained with standard (concentric) exercise (95% CI 16%–56%).15 Thus, eccentric exercise induces clinically meaningful effects but may take several weeks or months before a benefit is felt, and not every patient is guaranteed to respond. The exercise should be taught and monitored by a health professional, such as a physiotherapist or sports medicine physician, capable of ensuring correct biomechanics (e.g., avoiding pronation) and of supervising the gradual increase of tendon loading. The potential harms of eccentric exercise include delayed-onset muscle soreness or exacerbation of the tendinopathy (e.g., pain, soreness or swelling). These typically occur when the exercises are performed too quickly, with incorrect biomechanics or with an increase in load that is too abrupt. There are no published reports of tendon rupture in response to eccentric loading. Do orthotics, braces or splints have a positive effect? Orthotics may be helpful in conjunction with other modalities of treatment if there is an identifiable malalignment, whereas braces or splints do not appear to improve outcomes in Achilles tendinopathy. One randomized controlled trial of male runners found a significant improvement in pain in patients wearing custom-made orthotics.17 Of the patients, 89% described a reduction in pain scores of greater than 50% after four weeks of wearing custom insoles (95% CI 69%–100%), compared with 0% in control patients who did not receive treatment (p < 0.05). This trial may have had improper blinding, because sham insoles were not provided to the control group. Referral to a qualified orthotist should be considered if the biomechanical examination identifies a potentially correctable malalignment. However, there is little evidence to suggest that orthotics alone will be effective. Many clinicians recognize that an individualized physiotherapy program that addresses the patient’s specific presentation, loading history and biomechanics leads to the most effective outcomes when combined with exercise. However, published evidence for these complex interventions is still lacking, particularly for longer-term outcomes. One trial examined the short-term effect of physiotherapy, including ice, transverse friction massage, therapeutic ultrasound and exercise (i.e., concentric, eccentric, balance and proprioceptive drills), compared with control (no treatment).17 The physiotherapy group (n = 11) experienced significant improvements in activity-related pain compared with controls (n = 8) (p < 0.05). Effect size could not be calculated, which made a comparison with other trials that used exercise alone impossible. The trial included only men and used a multimodal intervention that closely approximates interventions currently provided by many sports medicine physiotherapy clinics, rather than exercise alone. Which other modalities may be helpful? Many modalities have been used in the treatment of chronic Achilles tendinopathy. Some that are used frequently, such as NSAIDS, have little long-term benefit, whereas current evidence for less commonly used options, such as extracorporeal shock wave therapy and glyceryl dinitrate, is inconclusive. Corticosteroid injections should be avoided, and other injection therapies require more research before they can be recommended. A variety of injection therapies for the treatment of chronic Achilles tendinopathy has been examined in small clinical studies. These treatments include corticosteroids, sclerosing therapy, aprotinin, polidocanol, glycosaminoglycan polysulfate and platelet-rich plasma.26–32 Several studies have reported trends that are consistent with a clinically significant improvement, but are hampered by the small number of patients studied. One trial examined the effect of adding low-energy (0.1 mJ/mm2) extracorporeal shock wave to a heavy-load eccentric exercise program. Patients who were randomly assigned to receive active shock waves plus exercise fared slightly better in terms of pain (1.5/10 improvement on a visual analogue scale; p = 0.0045), activity level (13.5/100 improvement on the Victorian Institute of Sports Assessment–Achilles [VISA-A] score; p = 0.016) and satisfaction with treatment at four months.18 Although statistically significant, these values may be clinically insignificant. Paoloni and colleagues randomly assigned 65 patients to receive rehabilitation (focusing on active tendon-loading exercises) plus glyceryl trinitrate for six months, or identical rehabilitation with placebo patches.23 The primary outcome measure was patient-rated tendon pain with activity. Four patients did not conclude the trial because of the development of headaches or skin rashes. In those who remained in the trial, there was a statistically and clinically significant decrease in pain with activity (p = 0.03). A second study by Kane and coauthors examined the effects of patches of glyceryl trinitrate and eccentric exercise versus placebo patches and eccentric exercise in 40 patients (20 per group). The main outcome measures were the Ankle Osteoarthritis Scale pain and disability scores. The scores of both groups were significantly decreased at six months, but the average scores were identical in the two groups.22 Thus, the initial promising results from Paoloni and colleagues’ trial have not been supported by similar studies in other centres. Box 23,15,16,18,23,35,36 provides an example of the management of chronic Achilles tendinopathy, using the results of our literature review. The role of the primary care physician is to establish the history and diagnosis, provide education on the chronic nature of the condition and the importance of rehabilitation, provide a referral to physiotherapy and monitor progress through rehabilitation (e.g., 6 or 8 weeks’ follow-up). A healthy 40-year-old woman presents with a four-month history of gradual onset of pain along her Achilles tendon, which has forced her to give up recreational running (her preferred form of exercise). She is 168 cm tall and usually runs 7–10 km per day, five days per week. There is no history of trauma or an obvious episode of strain or sprain. The pain is variable but is present throughout the day and also at night. It becomes severe with any attempt to start running again. Initially, the pain seemed to improve with ibuprofen, but now this gives no substantial benefit. There is no history of inflammatory disorder, diabetes or familial hypercholesterolemia. Physical examination shows a painful thickening in the midportion of the Achilles tendon, which triggers a sharp, localized pain when palpated. Radiography is normal. Ultrasonography shows thickening of the Achilles tendon with hypoechoic areas. What is the preferred treatment? As summarized in Table 2, the evidence base for treatments other than exercise remains tenuous. Additionally, we do not know how different patient populations may respond to exercise. Clearly, young patients with active lifestyles may expect a better response to exercise than older patients with sedentary lifestyles, but response may be highly individualized. There is no magic formula for exercise prescription, and better data on prognostic factors would greatly assist clinicians in fine tuning their practice and advance our knowledge base. Can exercise be used to prevent Achilles tendinopathy? Tendon does have an ability, like muscle or bone, to adapt to increased functional demand; however, this may not necessarily translate into an ability to prevent injuries.37 Will some of the pilot studies of ultrasonography-guided injection treatments be born out in larger randomized controlled trials? These are some of the many gaps in knowledge that we hope will be addressed in the coming years. Heavy-load (eccentric) exercise is currently the cornerstone of management of chronic Achilles tendinopathy, but it may take up to 12 weeks or longer of daily supervised exercise to see substantial improvements. Nonsteroidal anti-inflammatory drugs have little long-term benefit and there is insufficient evidence to support use of shock wave therapy. Corticosteroid injections should be avoided and other injection therapies are still in the experimental stage. Orthotics may be helpful in patients with an identifiable biomechanical abnormality, but braces and splints have no proven benefit. Alex Scott’s research in tendon disorders is funded by Natural Sciences and Engineering Research Council of Canada, Canadian Institutes of Health Research and WorkSafeBC. Elise Huisman is the recipient of a Work-SafeBC PhD fellowship. Contributors: Alex Scott conceived and drafted the article. Karim Khan contributed to the design and revision of the article. Elise Huisman acquired the data and revised the article. All authors approved the final version submitted for publication.
. Clinical sports medicine. 2nd ed. Sydney (AU): McGraw-Hill; 2002.
. Types and epidemiology of tendinopathy. Clin Sports Med 2003;22:675–92.
. Tendon trauma and overuse injuries. In: Leadbetter W, Buckwalter J, Gordon S, editors. Sports-induced inflammation: clinical and basic science concepts. Park Ridge (IL): American Academy of Orthopaedic Surgeons; 1990. p. 609–17.
. Time to abandon the “tendinitis” myth. BMJ 2002;324:626–7.
. Influences of paratendinous innervation and non-neuronal substance P in tendinopathy: studies on human tendon tendon tissue and an experimental model of Achilles tendinopathy. Umea (SE): Umea University; 2010.
. Effects of creep and cyclic loading on the mechanical properties and failure of human Achilles tendons. Ann Biomed Eng 2003;31:710–7.
. Development and use of animal models to advance tendinopathy research. Front Biosci 2009;14:4588–97.
. Dyslipidemia in Achilles tendinopathy is characteristic of insulin resistance. Med Sci Sports Exerc 2009;41:1194–7.
. Components of the transforming growth factor-β family and the pathogenesis of human Achilles tendon pathology: a genetic association study. Rheumatology (Oxford) 2010;49:2090–7.
. Novel approaches for the management of tendinopathy. J Bone Joint Surg Am 2010;92: 2604–13.
. Eccentric loading, shock-wave treatment, or a wait-and-see policy for tendinopathy of the main body of tendo Achillis: a randomized controlled trial. Am J Sports Med 2007;35:374–83.
. Superior short-term results with eccentric calf muscle training compared to concentric training in a randomized prospective multicenter study on patients with chronic Achilles tendinosis. Knee Surg Sports Traumatol Arthrosc 2001;9:42–7.
. Eccentric overload training for patients with chronic Achilles tendon pain — a randomised controlled study with reliability testing of the evaluation methods. Scand J Med Sci Sports 2001;11:197–206.
. Effects of short-term treatment strategies over 4 weeks in Achilles tendinopathy. Br J Sports Med 2007;41:e6.
. Eccentric loading versus eccentric loading plus shock-wave treatment for midportion achilles tendinopathy: a randomized controlled trial. Am J Sports Med 2009;37:463–70.
. Eccentric exercises for the management of tendinopathy of the main body of the Achilles tendon with or without the AirHeel Brace. A randomized controlled trial. A: effects on pain and microcirculation. Disabil Rehabil 2008;30:1685–91.
. Chronic Achilles tendinopathy: a prospective randomized study comparing the therapeutic effect of eccentric training, the AirHeel brace, and a combination of both. Am J Sports Med 2007;35:1659–67.
. The additional value of a night splint to eccentric exercises in chronic midportion Achilles tendinopathy: a randomised controlled trial. Br J Sports Med 2007;41:e5.
. Topical glyceryl trinitrate treatment of chronic noninsertional achilles tendinopathy. A randomized, double-blind, placebo-controlled trial. J Bone Joint Surg Am 2004;86-A:916–22.
. No effect of piroxicam on achilles tendinopathy. A randomized study of 70 patients. Acta Orthop Scand 1992;63:631–4.
. A systematic review and meta-analysis of clinical trials on physical interventions for lateral epicondylalgia. BSMJ 2005;39:411–22.
. Sclerosing injections to areas of neovascularisation reduce pain in chronic Achilles tendinopathy: a double-blind randomised controlled trial. Knee Surg Sports Traumatol Arthrosc 2005;13:338–44.
. Achilles paratendonitis: an evaluation of steroid injection. Br J Sports Med 1988;22: 64–5.
. Ultrasonography as a tool for diagnosis, guidance of local steroid injection and, together with pressure algometry, monitoring of the treatment of athletes with chronic jumper’s knee and Achilles tendinitis: a randomized, double-blind, placebo-controlled study. Scand J Rheumatol 2004;33:94–101.
. Achilles tendonitis: Are corticosteroid injections useful or harmful? Clin J Sport Med 1996;6:245–50.
. A promising novel therapy for Achilles peritendinitis: double-blind comparison of glycosaminoglycan polysulfate and high-dose indomethacin. Int J Sports Med 1987;8:298–303.
. IOC Consensus Statement on the use of platelet-rich plasma (PRP) in sports medicine. Lausanne (CH): International Olympic Committee; 2010.
. Platelet-rich plasma injection for chronic Achilles tendinopathy. 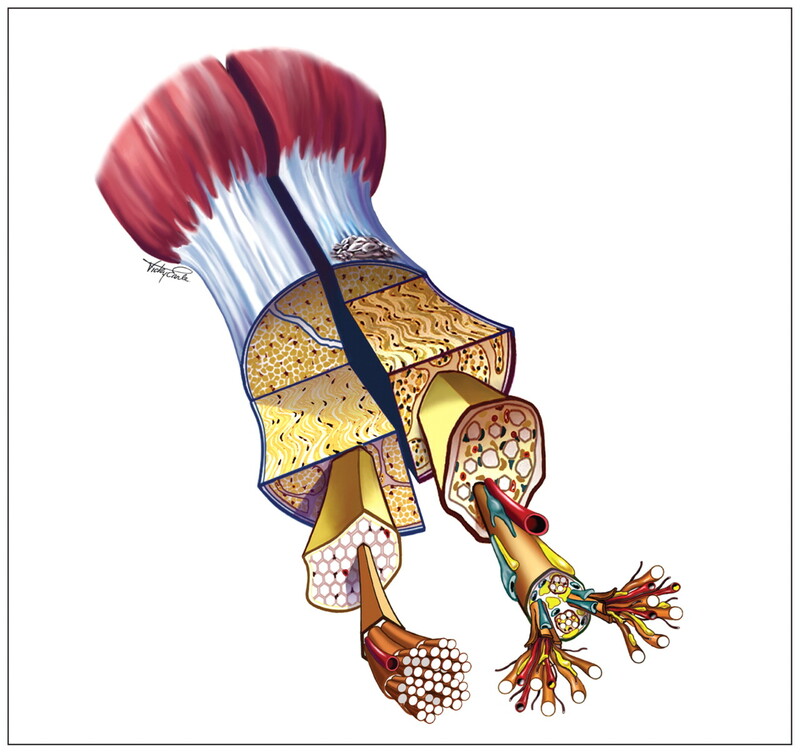 JAMA 2010;303: 144–9.
. Minimally invasive stripping for chronic Achilles tendinopathy In: Maffuli N, Easley M, editors. Minimally invasive surgery of the foot and ankle. London (UK): Springer; 2011.
. The VISA-A questionnaire: a valid and reliable index of the clinical severity of Achilles tendinopathy. Br J Sports Med 2001;35:335–41.